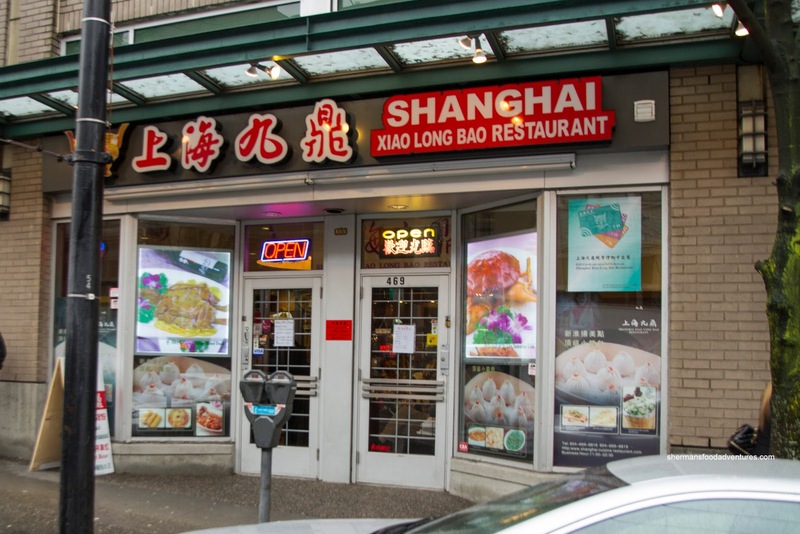 In the past, trying to find good Xiao Long Bao in Downtown Vancouver was akin to finding milk at the Bellingham Costco. 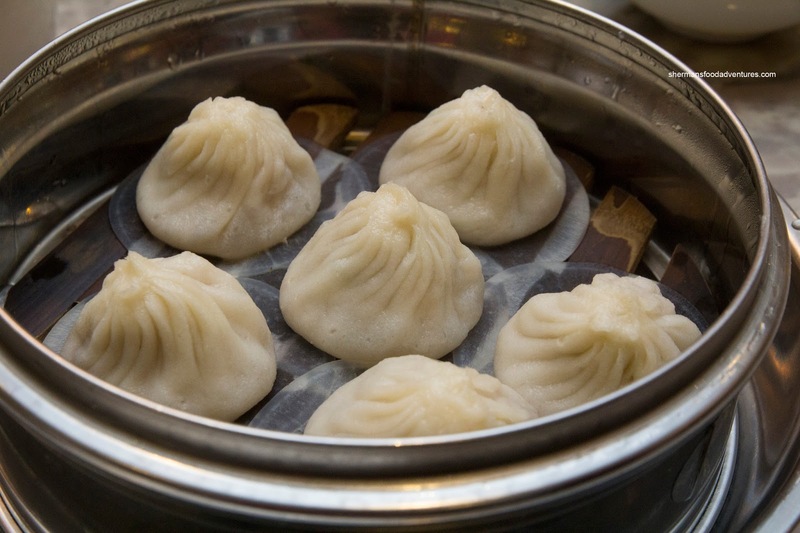 However, those dark days seem to be fading as there are 2 choices to be had - Dinesty and Shanghai Xiao Long Bao. Vandelay thought it would be a good for us to research these joints starting with the latter. Since Shanghainese food is best when shared, I enlisted the eating prowess of Whipping Girl, Chill and Gordo. 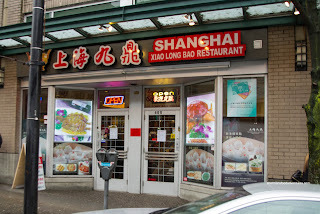 Like most newer restaurants in Vancouver, the "novelty factor" is in full effect, therefore, we decided to arrive before Noon to avoid the rush. We started with 1/2 of a Wine Chicken ($13.99) which was sauced generously. Hence, there was no mistaking the xiao shing wine flavour. It was a little strong for some, but I liked it. No wussy flavours here. 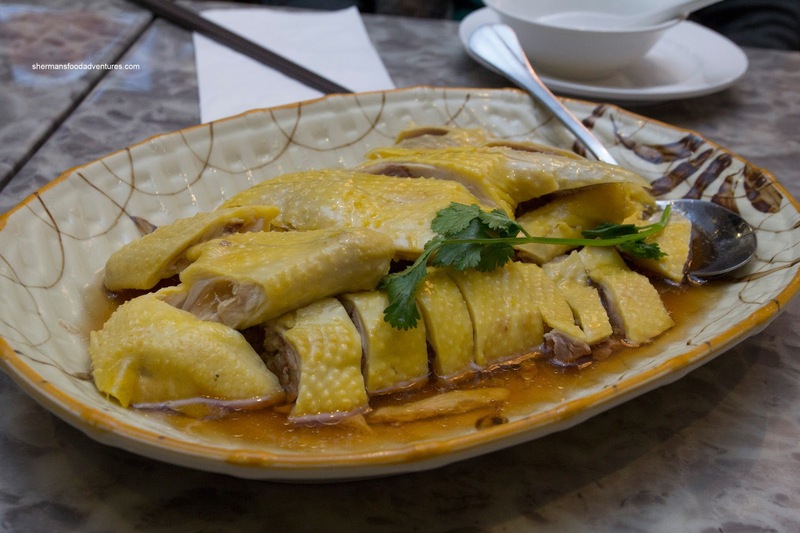 The free- range chicken itself was prepared properly with a nice layer of gelatin underneath the "jelly-like" skin. Without any delay, we were presented with THE dish we were waiting for - the Xiao Long Bao ($5.99). Hey with the dish clearly stated in the restaurant's name, we had high expectations. And it more or less delivered with its relatively thin dumpling skin and moist flavourful filling. The soup itself was decent in volume where it exhibited a hit of sweetness and xiao shing wine. It could've used a touch more ginger in my opinion. 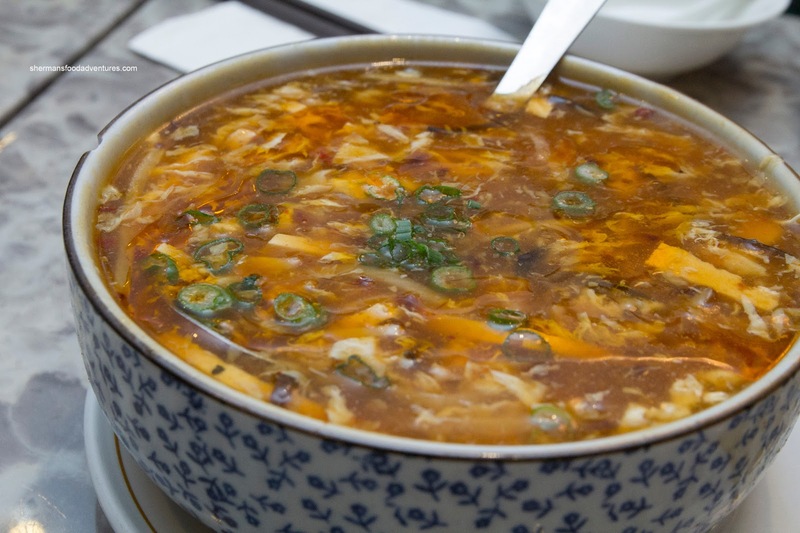 Moving along, the small Hot & Sour Soup ($8.99) arrived in a pretty substantial portion. We wondered what the large would be like. The soup had an appealing colour and a good amount of ingredients including coldwater shrimp, crunchy bamboo shoots and wood ear mushrooms, tofu, shredded pork and egg. Although it had a good kick, the underlying soup base did not have much depth nor meatiness. Onto more dumplings, we got the obligatory Potstickers ($6.99) which were nicely browned with a crispy bottom. 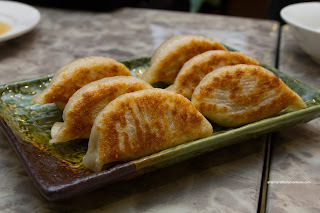 I found the dumpling skin to be slightly thick and doughy, but not overly so. Much like the XLBs, there was a good amount of juice inside. The meat filling was a tad chewy, yet it did have a balanced flavour. 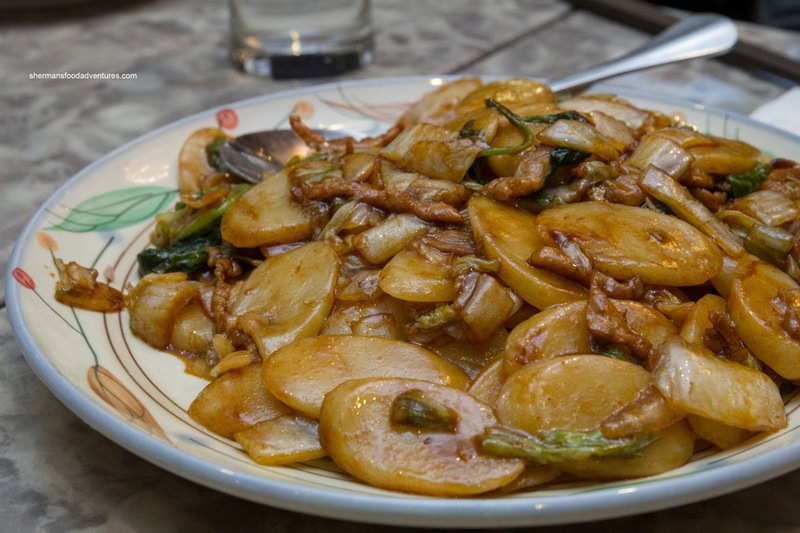 Continuing down carbohydrate road, we had the Stir-Fried Rice Cake ($11.99). Glistening with oil that would make a a teenage cashier at 7-11 a run for their money, the rice cake slices had a significant bite. The shredded pork was tender while the veggies wilted just enough, however, there was a general lack of flavour. 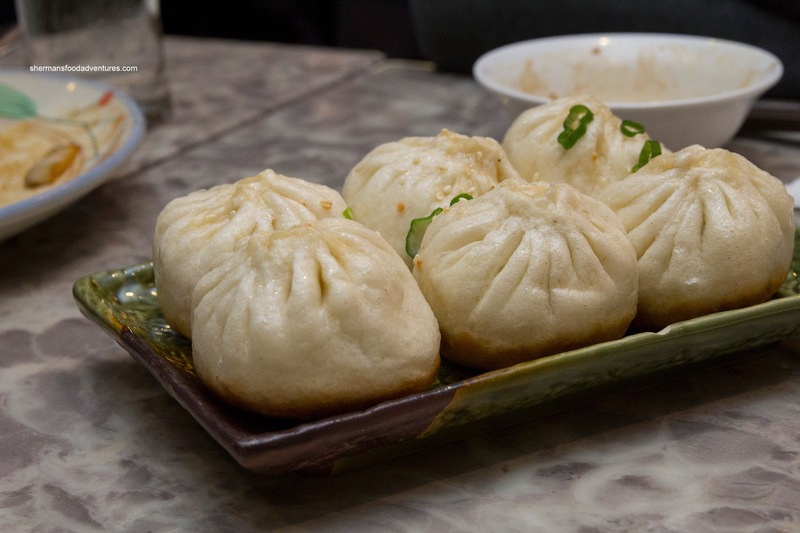 Ignoring the Atkin's diet, we had a plate of Pan-Fried Buns ($6.99) which were fluffy, yet at the same time, had a pretty thick exterior. The bottom was fried up nicely (with copious amounts of oil) where it was crispy. Consistent with the other 2 dumplings we had, there was a good amount of sweet, meaty juice inside. 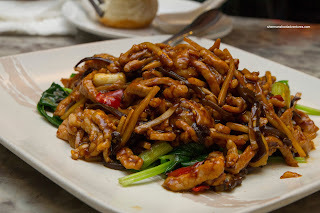 Finally, other than the chicken, we had a meat dish in the Stir-Fried Shredded Pork ($12.99). The shredded pork was of a nice size and really tender. There was a low rumble of spice which accented the sweetness of the hoisin. We liked how the sauce clung onto all of the ingredients without any excess at the bottom of the plate. 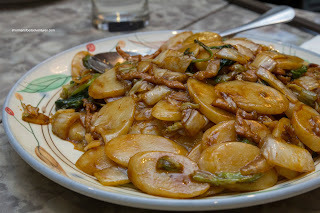 The crunchy bamboo shoots and wood ear mushrooms added texture to the plate. For many, the Fried Bun ($7.00) served with condensed milk is a dessert, but for me, I like it with the shredded pork. I actually hollow out the end pieces and stuff the pork inside. 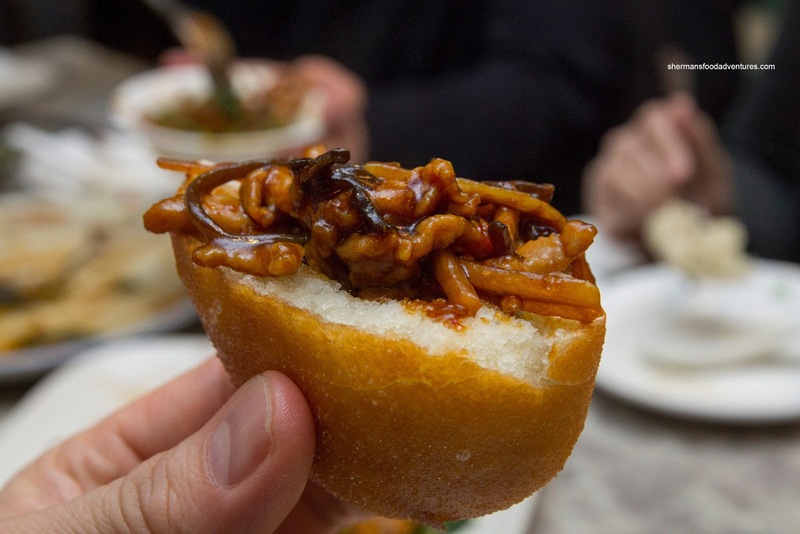 Consider it a Chinese taco of sorts. Give it a try, it's good. 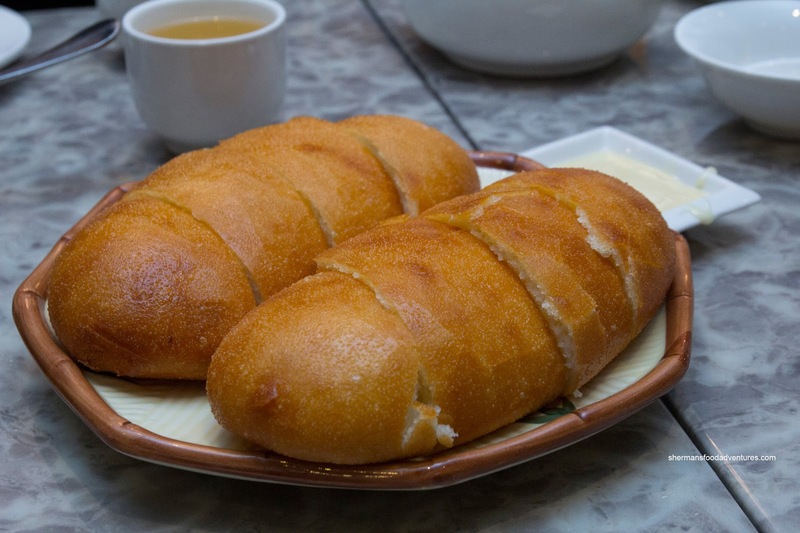 And about that fried bun, it was fried golden brown and crispy. As you can ascertain, most of the food was on point. Sure, I've had better Shanghainese food before, but this was not only a solid meal for Downtown standards, it was good for any standards. Kudos to them for making authentic food where something less would've sufficed. I do that with the fried buns too! Can't wait for your review of Dinesty!